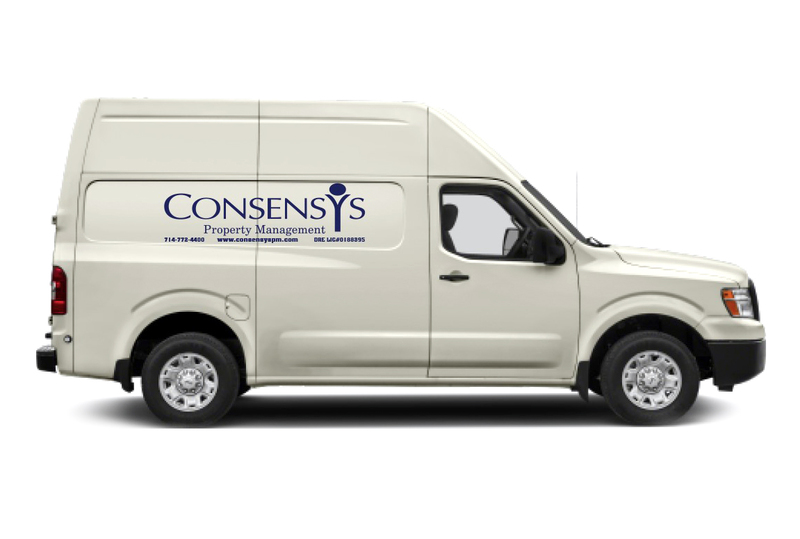 ConsensYs Property Management can handle all of your maintenance issues, big or small. Our experienced team of in-house technicians can be dispatched throughout Southern California quickly and easily. For larger jobs, we partner with a multitude of licensed, insured vendors who have proven themselves to us over the years. Together, our maintenance technicians and preferred vendors provide you and your property quality work at reasonable prices. From slab leaks to roof repairs, we can do it all! Maintenance services you can trust! Our maintenance staff is on call every moment of every day. Staff members are EPA-certified for air conditioning, refrigeration, lead-based paint renovation, repair, and painting. Our experienced technicians are provided extensive training in areas such as plumbing, water heater repair, thermostat installation/repair, locksmithing, drywall repair, re-screening, minor appliance repair, roof repair carpentry, painting and more. For larger jobs, we have access to a multitude of licensed, insured vendors who have proven themselves to us over the years. We can obtain several competitive bids for the work you need at your property. Our Property Managers can perform complete annual inspections of your property so that we can work with you to make a maintenance plan for the year. This not only keeps property owners informed, but helps keep costs down as we can address maintenance issues and concerns before they get out of control.